Since I recently weaned Little One I can suddenly fit into dresses that didn’t fit in the bust area before. 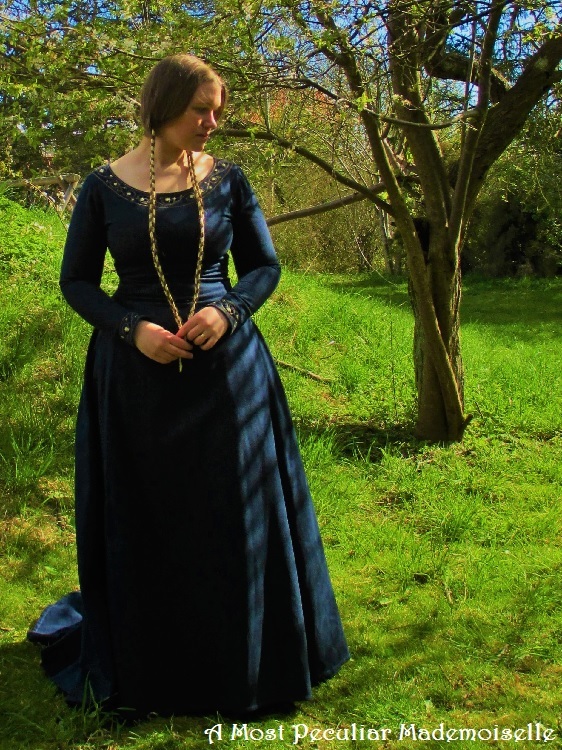 I managed to wriggle into the embroidered dark blue medieval-ish wool dress I made about 15 years ago (it even laced shut! ), but never had nice pictures of myself wearing it. I had also planned to have my hair cut, but first I wanted to take pictures of it long, so with these pictures I killed two birds with one stone. 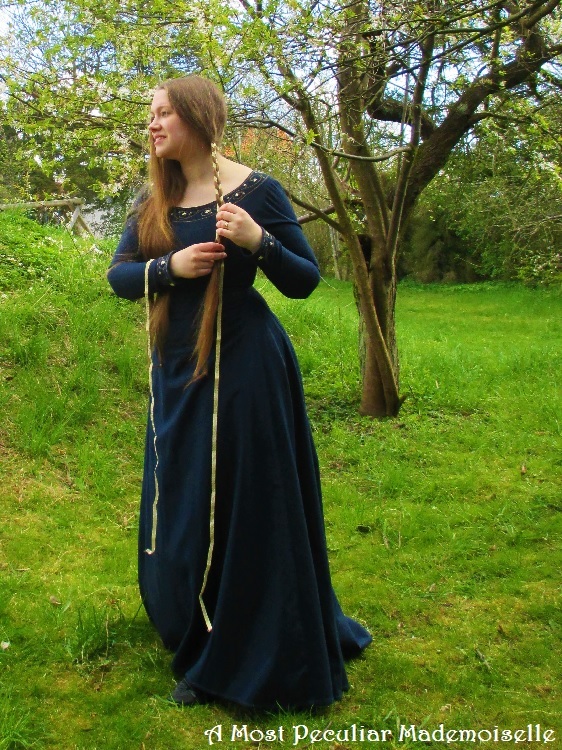 I wore my hair in two long plaits, with ribbons braided into them, inspired by the 12th century fashion. 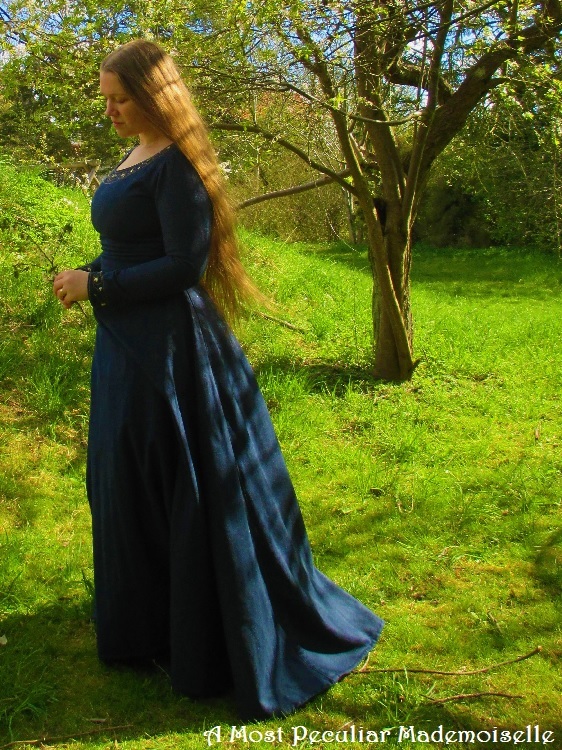 I also wore a linen veil for the start of the photo shoot, but later ditched it, and in the end unbraided the hair too. 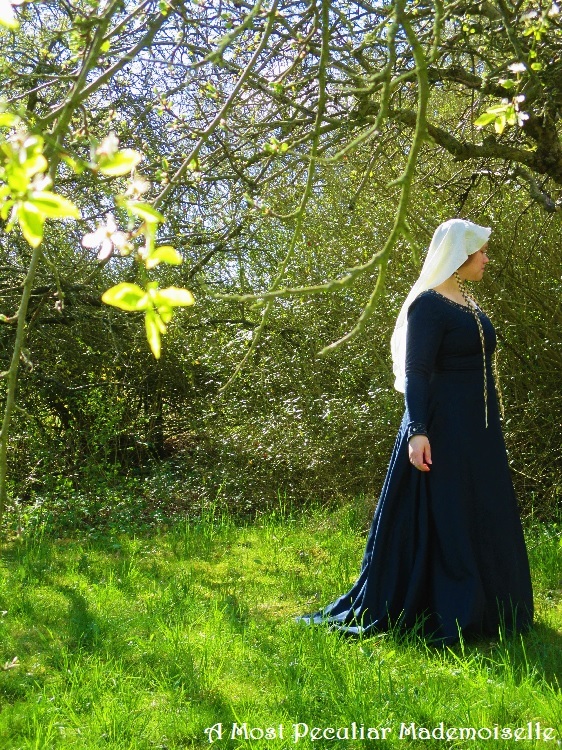 The whole photo series have a rather Pre-Raphaelite medieval-ish feeling to it, which I confess I’m rather partial to, even though I’m usually all for historical accuracy. This is all about pretty, but I think that can sometimes be an object in itself. To accentuate the fairy tale feeling I edited the photos to be really vibrant. 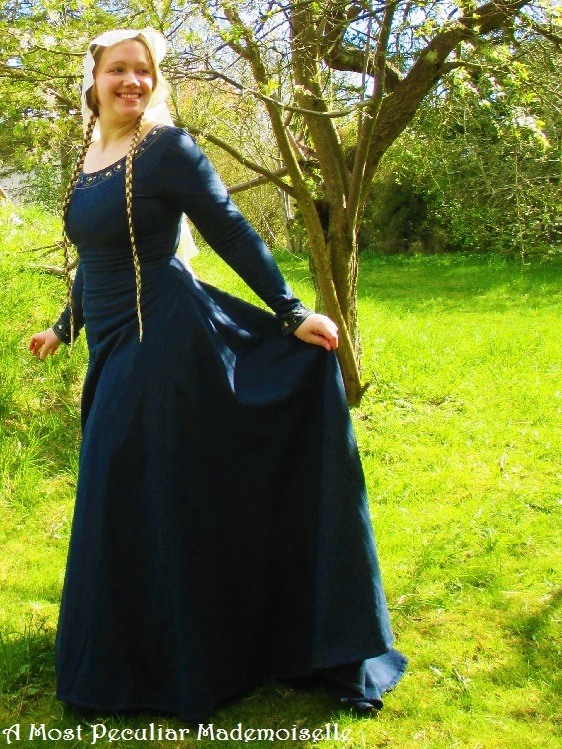 It is nice to finally have pretty pictures of myself in this lovely dress, but now I hope to sell it. 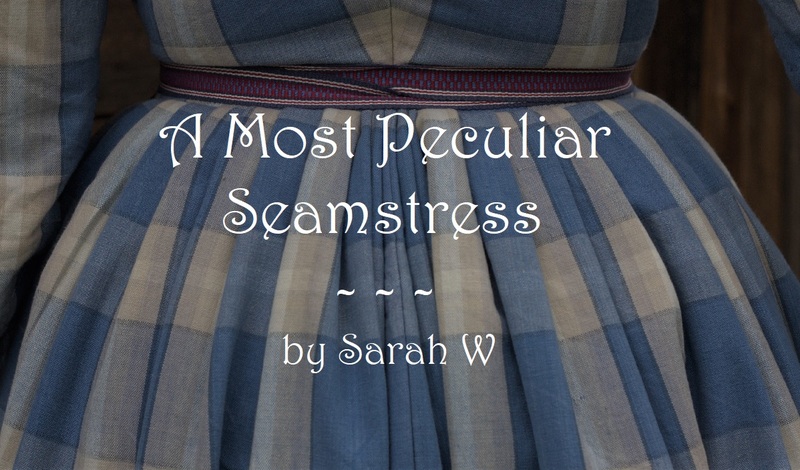 It would look better on a slimmer figure, and I don’t really have any use for it. And I did cut my hair that same afternoon; 40 cm (15 ¾”) was chopped off, so now it only reaches to below my shoulders. Much easier to care for, if harder to put up in fun hairstyles. Your work is wonderful, I love how pretty it looks on you ! The color is especially flattering ! I would be so very interested in the dress, if you were to sell it: it looks beautiful and you look beautiful in it.